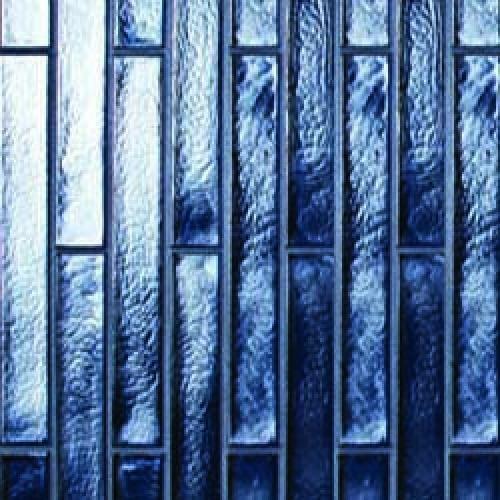 This cutting egde collection sets the standard for glass tile. A unique combination of bold dimensional pieces paired with modulating field tiles turns any space into an extraordinary tactile experience. Suitable for walls and floors, indoors and out, around fireplaces, bar tops, splash backs, pools and fountains, the options are endless. A range of trim pieces and liners are available to accent and finish your tiling. They are available in sizes 63x63mm, 63x127mm, 127x127, 32x254mm, 63x254mm, 127x254mm and 254x254mm. Dimensional tiles can be arranged into various patterns to create a unique and beautiful space. Three designs are available - Tango, Apex and Flight. Visit the Oceanside Glasstile website and view the full range of colours, patterns and styles then call us with your request.